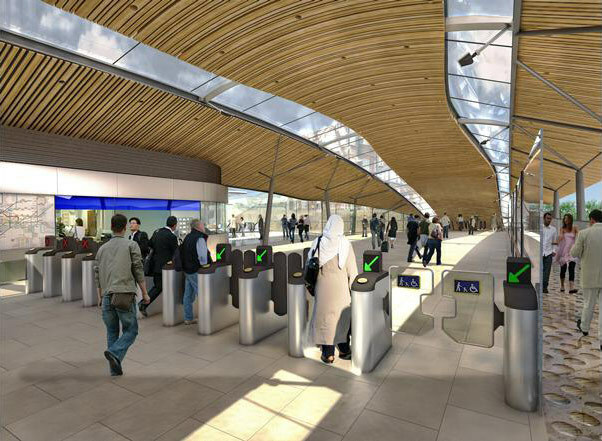 The architects behind the redesign for Whitechapel Station, mandated by the arrival of Crossrail seven years hence, have released new pictures of the scheme. The most significant news: it's a heckuva lot cheaper. 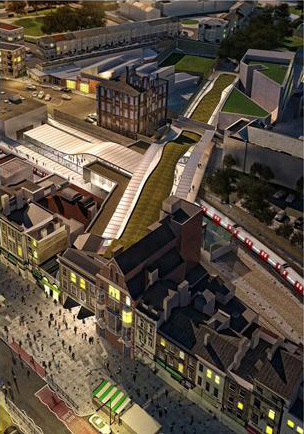 BDP, the firm behind the build, have reoriented the main entrance onto Whitechapel Road (earlier designs moved it to a side street), retaining the existing station building, and abandoned plans for a tunnel directly linking the street with the Crossrail platforms, which will be located to the north of the existing station. 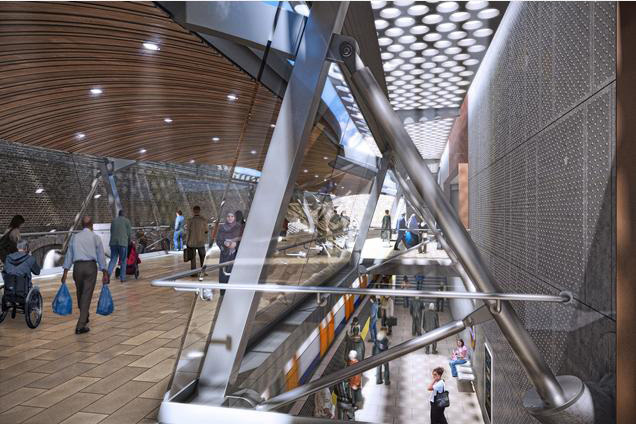 The station's existing footbridge will be completely rebuilt, with a partially glazed roof that swoops overhead allowing plenty of natural light into the complex, and linking to a new entrance to the station on the northern approach. The changes will shave £30 million off the station's original price tag, and should result in less disruption for local residents. 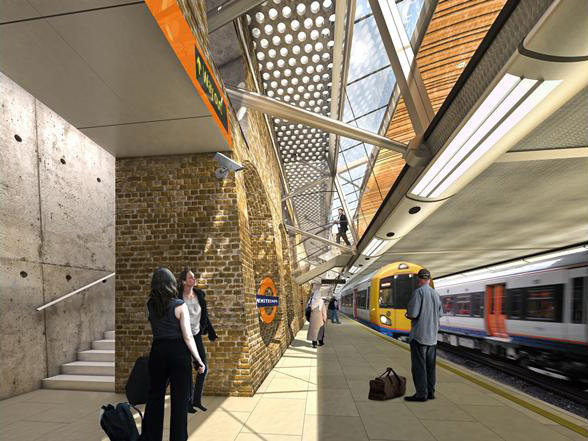 Main construction is due to start in 2014, with Crossrail service commencing 2017.